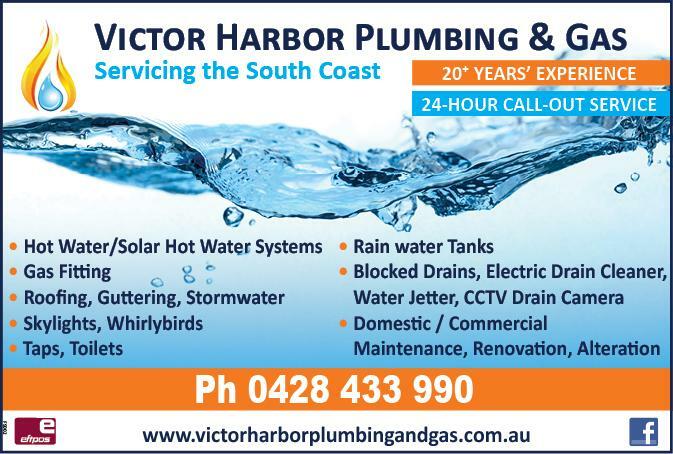 Goolwa-based Reef Plumbing & Gas Services is now servicing the Fleurieu Peninsula with a wide range of plumbing services. 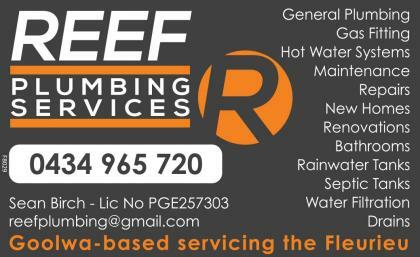 Owner/operator Sean Birch is ready to assist with plumbing services for new homes, renovations or if repairs are needed. 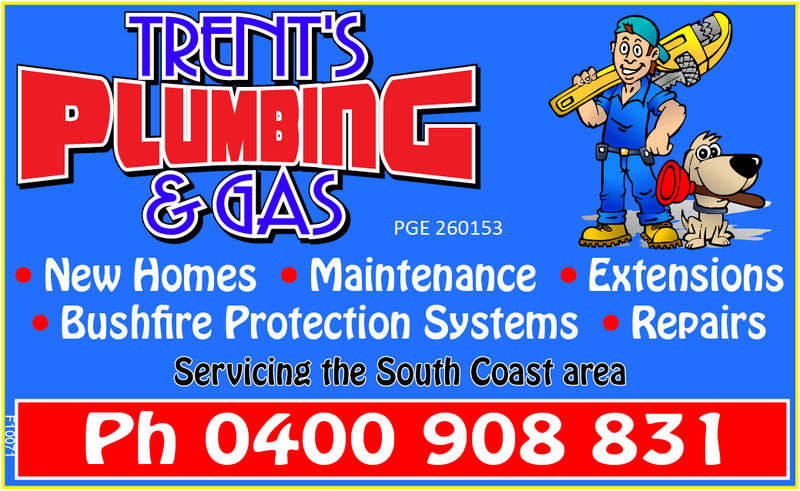 Trent’s Plumbing and Gas is your Victor Harbor-based plumbing and gas fitting expert servicing the Southern Fleurieu Peninsula. Owner/operator Trent Marles has been in the plumbing trade for more than 15 years and prides himself on reliable and quality service. If he says he’ll be there he will be.